Considered an important criterion to evaluate the quality of a translation, the rhythm nevertheless remains a rather vague notion in translation. Rhythm is present in all forms of discourse and in all literary genres and is associated with several concepts (alternation, ratio, proportion, return, regularity, periodicity, tempo, cadence) and can respond to various objectives, didactic, psychological or Aesthetic. 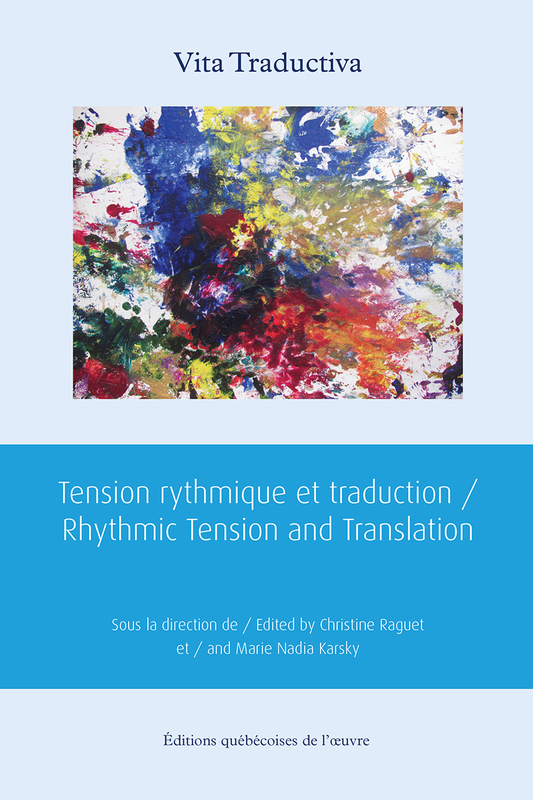 "The rhythm in poetry", "Rhythm, theater and theatricality" and "Translating rhythmic musical prose", the texts gathered here complement the number 27 of the journal Palimpsestes and make a significant contribution To our understanding of the challenges posed by the translation of rhythmic tensions, starting with analyzes of works of major authors (Homer, Shakespeare, Dickens, Yeats, Virginia Woolf, James Baldwin, Bernard-Marie Koltès, Cabral de Melo Neto, Michael Ondaatje).